Home » Uncategorized » The Perfect Gift on International Women’s Day! 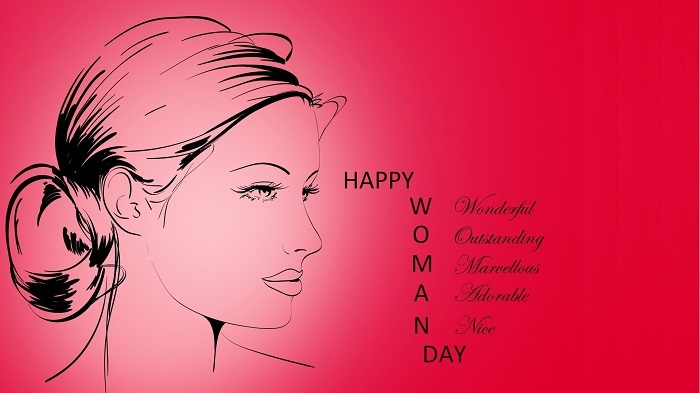 8th March- a day dedicated to the celebration of womanhood, all around the world. Popularly known as the International Women’s Day (IWD), when the world celebrates social, political, cultural and economic achievements of women. Though a relatively new concept in India, International Women’s Day is celebrated across the globe, for over a century now. Having been observed since the 1900’s- when the world was witnessing great turbulence in the industrialized world, with booming population and the rise of radical ideologies, this day is a collective way of global celebration of womanhood and a call for gender equality. With gender discrimination and bias being still prevalent, the International Women’s Day marks the call for equality between men and women; their rights, duties, capabilities, abilities and so on. The concept of International Women’s Day isn’t the brainchild of any specific government, NGO, charitable institution, corporation, women’s network or media hub. This day is the result of an extensive campaign, started in 1908 by 15000 women in New York City, to protest against women’s oppression and demanding shorter hours of work, better pay and voting rights. Thus, International Women’s Day brings forth the story of women’s struggle for equality and belongs to no single feminist party nor to any organization, but to the collective efforts of all who care for the equality of human rights. Therefore, many organizations declare an annual International Women’s Day theme and governments introduce initiatives and campaigns pertaining to the specific agenda of providing equal opportunities to all women. The International Women’s Day theme for 2016 is “Planet 50-50 by 2030: Step it up for Gender Equality”- a campaign ideated by the United Nations (UN) Women Empowerment wing, is to ensure equal rights and opportunities to women in the global sphere. The Indian government has flagged off some major women-centric initiatives in India, to ensure that women are at par with men in every sector of the economy and are subjected to opportunities to showcase their skill sets in multiple platforms. As a gift to the women entrepreneurs in India, the Ministry of Women and Child Development has launched a web portal, ‘Mahila-E-Haat’ to promote entrepreneurship among women in India. The website inaugurated on the eve of Women’s Day by Mrs.Maneka Sanjay Gandhi, Women and Child Development Minister, is devised to cater specifically to the women entrepreneurs is dedicated completely to the women fraternity, allowing the entrepreneurs among them to sell their products and services online. On a whole, the website acts as platform, where buyers and sellers can come together for a deal, without any additional cost. With an eye to promote entrepreneurship among women entrepreneurs based in every nook and corners of the country, this initiative of the government is a farsighted initiative to considerably increase the number of women entrepreneurs in India. This one-of-a-kind online marketplace in India emphasizes on the upliftment and empowerment of the women fraternity. With a goal to encourage entrepreneurship among Indian women, this initiative, indeed is a pleasant gift from the Indian government on the occasion of International Women’s Day. Next: All You Need to Know About PGDM!